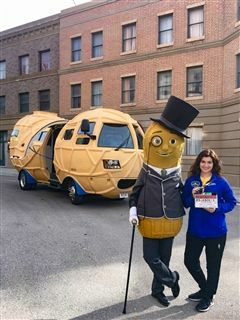 Alumna Paige Jeschke '14 shells out the details on touring the country in the Planters Peanuts NUTmobile. A typical week as a Planters Nutter involves driving to a new city on Monday, Tuesdays and Wednesdays are precious days off, and working events, Thursday through Sunday. 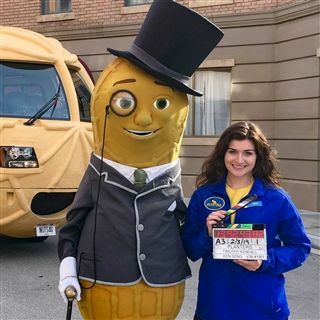 At a typical event, fans can see the NUTmobile, take a picture with Mr. Peanut and grab a satisfying, crunchy sample of Planters nuts. 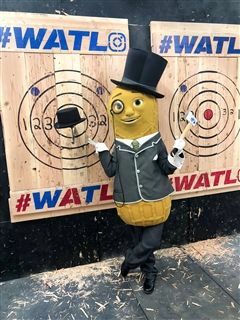 Along with doing experiential marketing, my job consists of capturing content for Mr. Peanut’s social channels and pitching to local media. I defiNUTly leveraged my Fountain Valley education during my interview -- boasting of my independence at an early age and my understanding of what it's like to live far away from home. I am looking forward to my next adventure after this year is over and even more excited to see where my career takes me! 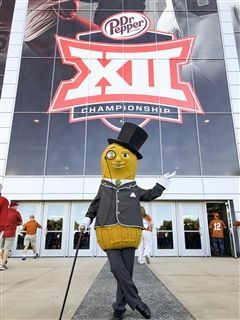 -We do NUT stay the night in the NUTmobile. @e stay in hotels of our choosing. -There are 6 seats inside the NUTmobile.